Mine and Paul’s thoughts on the entire Twilight franchise and on this movie in particular are fairly similar. We’ve both watched the previous films and pretty much like/dislike the same things except for a main difference. I actually do like Kristen Stewart very much and consider myself a fan. I haven’t seen any of her previous work I don’t think but I’m definitely a convert after the first three movies. 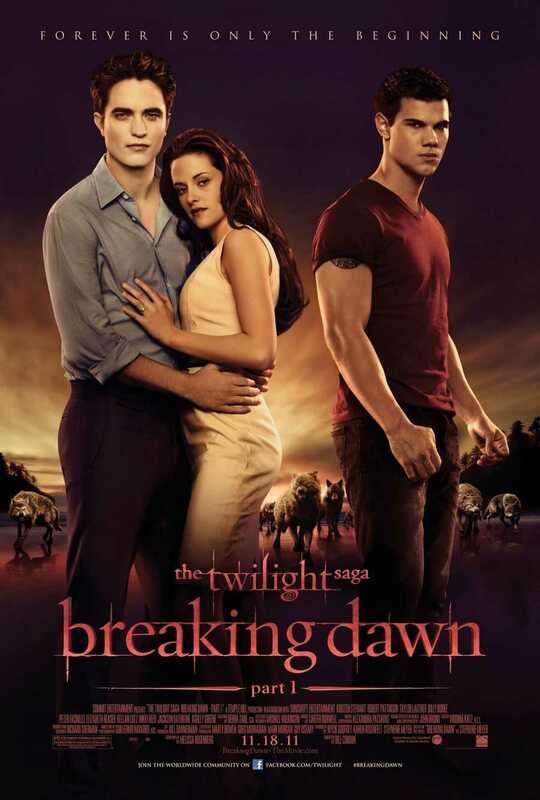 Straight up, I am going to say that after having actually enjoyed the previous trilogy, Breaking Dawn Part 1 has dangerously threatened to reconvert me. The movie, perhaps unintentionally, makes it so very painfully obvious that this is just half an actual movie because it covers just roughly half the novel itself. I haven’t read them so I can’t offer any opinion on that but this is just how I see it, which really shouldn’t be much of a revelation to any of you. The whole what can be roughly called the first movie is too drawn out and not without a fair amount of silliness. 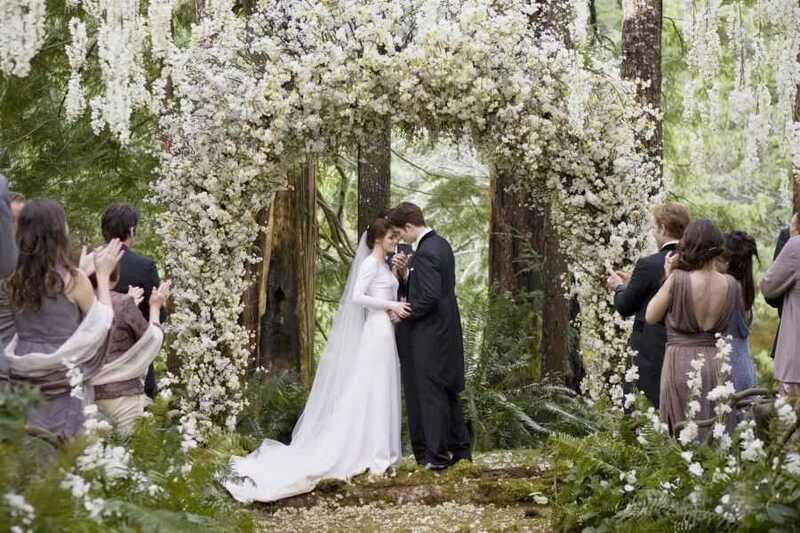 After all the hype surrounding Edward and Bella’s wedding, the whole event and its preceding sequence are just off and fairly slow in my estimation. One of the first things that struck me was just how quickly we get to the wedding itself. Now, don’t get confused there since I initially said the first half is too drawn out. My previous comment still holds true. There is an explicit connection between a movies being drawn out yet also being too fast-paced. And that connection is when the fast pace is actually just focusing on completely irrelevant things, which makes it all seem too drawn out. Everything up to and including the wedding seems like it a list of bullet-point scenes that the scriptwriter and the director are force-feeding us. There was no emotional connection to what is happening on the screen. Kristen Stewart is the only actual believable character so far, excepting her dad whose cameos are always entertaining because he is actually the most credible character in the entire franchise. Anyways, Bella’s anxiety and her frustrations are played quite well in Kristen’s own cute way and, haters I look at you now, she has actually learned along the way and she is a better actor for it. Robert Pattinson should really step up his game and actually NOT be brooding all the time and being shell-shocked. It is really getting old by now. But perhaps, that is not the fault of the scriptwriters but because of the author of the novels herself. Edward has gotten to be really silly by now. The most stark example of this when, for his bachelor’s party, he and his two cousins go hunt lions instead of going wild with a stripper in some club or something. I mean come on, really? You sulk around all the time, with that sad face on all the time and then suddenly you are out hunting wild animals for a party? Right. Taylor Lautner I sort of feel pity for. As Paul mentioned, with the wedding now having finally happened, his part in this love triangle is pretty much over. But Jacob, being Jacob sadly, is now the besotted fool who just can’t let go. This is where the pity factor comes in. This film could have been a very good opportunity for him to shine on his own, making decisions because that is the way he should make them. But of course, everything he does is coloured and biased because of his one-way relationship with Bella. Jacob will continue being defined not by himself but by the girl he loved. The thing that bothered me most was how silly Ashley Greene’s character Alice suddenly became here. This is definitely not how I remember her. Her character is one I liked throughout the previous trilogy and for her to become so inconsequential and utterly irrelevant to the plot of Breaking Dawn Part 1 was a maddening moment. She is one of the coolest characters and she’s relegated to being the party planner? Everyone in the movie, excepting Bella’s dad is just there because the story happens to be larger than these four characters I have mentioned so far. And because the setting itself has gotten substantially bigger. No comments on any of them except that they all toe the line between smart and idiotic and some of them are more of the latter than the former. The second half picks up the pace but doesn’t really go anywhere either. It’s just more of the same. At this point, there really is nothing I can say that Paul already didn’t cover in his review. And that is quite bad since it all means that the movie just completely failed to make much of an impact. There are quite a few scenes from the trilogy that I remember fondly and sadly, no such scenes exist in the new one bar one: the part from the honeymoon when Bella is all enjoyably angsty about her first night as a married woman. The entire movie has just failed to live up to its expectations. It would have been great if Jacob had gone on to become his own man, instead of still the same old, same old. Edward should have become less brooding, more confident, and more open. Bella is the only one who goes anywhere in the entire movie. There are so very, very few references to the events of the previous movies, explicitly the third one. And all that is the fault of the movie being only half the experience. As I said, that is because, it is so painfully and obviously only half the experience. As a self-contained experience it falls flat. Even as a continuing experience, it fails to live up to the bar set by the previous movies. One last thing I’d like to mention is the one scene that totally filled me with the hope that all following scenes would totally redeem the entire movie and make it a winner in my eyes: Jacob as a wolf confronting his pack. The scene had so much potential and so much promise but it was all ruined, inevitably as it were. The entire pack, in wolf-form, gather together in what I would call, with a little hesitation, is a river-side lumber camp. A lumber camp. Anything you feel is wrong with the image of telepathically-talking werewolves having a moot in a lumber camp of all places? Jacob’s speech and his confrontation with his pack leader, a guy whose name I forgot at the moment, are totally ruined because of its setting. It is also cheesy, rushed dialogue that sounds better in a Sunday morning cartoon rather than modern-fantasy-vampire movie. In one word, the entire movie is a huge disappointment. Not quite one word but you get the picture from all my rambling. Posted on February 9, 2014, in Movie Reviews, Review Central and tagged Ashley Greene, Bill Condon, Billy Burke, Elizabeth Reaser, Film, Film Review, Jackson Rathbone, Kellan Lutz, Kristen Stewart, Movie Adaptation, Movie Review, Movie Reviews, Movies, Nikki Reed, Peter Facinelli, Review, Review Central, Robert Pattinson, Stephanie Meyer, Summit Entertainment, Taylor Lautner, Twilight, Twilight: Breaking Dawn, Urban Fantasy, Vampires, Werewolves. Bookmark the permalink. Leave a comment.